IPad Mini 3/2/1 LoudSpeakers (Set-Left and Right). Apple iPad Mini 3/2/1 Wifi and Cellular for ALL carriers. Best possible option for DIY repair, although we always suggest using a qualified technician. This used part has been fully tested and is in grade B to A condition. Loud Speakers for iPad Mini 1, Mini 2 and Mini 3. Part Number(s): CTH424. This used part has been fully tested and is in grade B to A condition. WiFI Antennas. IPad MINI First Generation USED parts. Original Set of loud speakers for Apple iPad Mini 4th Generation. This Item Has Been Carefully Removed From a Pre-Owned Tablet by Our Micro Electronic A Certified Technicians. This Item Has Been Carefully Removed From a Pre-Owned iPad Mini by Our Micro Electronic A Certified Technicians. Replacing and repairing the parts is not easy. (((For Different Color or Quantity-->Check out here !))). (see picture for detail). Top Quality. Everything you see on the box is black. Bluetooth Keyboard Case & Stand. Speaker Ball. Includes the left and right speakers. Compatible :For iPad Mini 3. MUST READ! NEW! iPad Mini Bundle -10 Accessories Speaker Blue Case W/ Keyboard & More! Type: Loud Speaker. Compatible Model: For Apple iPad mini (1st Generation). Product Information. Item has been tested and is in good working condition. Pulled from a working unit. IPad Mini A1432 A1454 A1455. iPad mini (Wi-Fi Only). I took a picture of the side of the box with all its features. Loudspeaker Output: 40mm 2.6ohm 3W. 1 x Bluetooth Wireless Portable TF Mini Speaker for any Bluetooth Device. Wireless portable mini Bluetooth stereo speaker system. Bluetooth Version: V2.1. Compact and portable,convenient to carry. 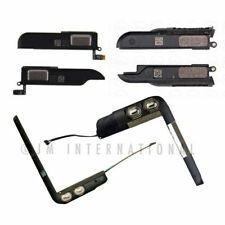 Original Loudspeaker For Apple iPad Mini A1454 GSM Version. Item has been tested and is in good working condition. Pulled from a working unit. Look at pictures for details. New iPad Mini 1, 2, 3 Loud Speaker Buzzer Ringer. Compatible :For iPad Mini 1, 2, 3. it may result in void of warranty. We will try our best to satisfy you! 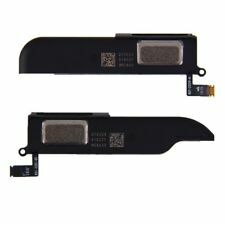 Speakers removed from working iPad Mini. Used and in good condition. Microphone Boards and Cables. Infrared IR Receiver Boards. HDMI Port Boards. The Apple iPad mini 1 Tablet L/R Speaker Set has been graded A. This item is 100% functional, and in very good condition. Compatible Model: iPad Mini, iPad Mini 2, and iPad Mini 3, and 4. Product Information. Color : Black. (SKU: TIPAM322-2). New iPad Mini 1st, 2nd, 3rd Gen. Compatible : For iPad Mini 3rd Generation. MUST READ! Microphone Boards and Cables. Infrared IR Receiver Boards. HDMI Port Boards. This Apple iPad mini 2 Left and Right Speaker Set is tested working. Hard Drive Caddys. Cell Phone Batteries. Ethernet Ports Phone Jacks. This is an GENUINE APPLE Product taken form a working unit.